John Spellar MP for Warley took time out of his busy schedule to drop in on Midland Met this morning to see for himself how the building is shaping up following the recommencement of work on site. The visit comes as the Trust – Sandwell and West Birmingham – which will run the new hospital, is about to begin the process of tendering for a contractor to take over construction of the two thirds built emergency hospital. Building giant Balfour Beatty started work last month on the interim repair, making good the parts of the building that were left open to the elements since work stopped in January. Trust Chief Executive Toby Lewis said: “We are pleased that Midland Met’s local MP, Mr John Spellar, took time out to visit the site and see the cranes in action once again. Matt Hancock, Secretary of State for Health and Social Care visited the Midland Metropolitan Hospital today (18 October) and vowed “it will be built on time and in budget”. The Minister was shown around the Smethwick-site as part of his whistle-stop tour of the West Midlands. The visit comes as Sandwell and West Birmingham NHS Trust, which will run the new hospital, is in the process of tendering for a contractor to take over construction of the two thirds built emergency hospital. Building giant Balfour Beatty were appointed last month to take on the site, and will start work on Monday to make good the parts of the building that were left open to the elements since work stopped in January. After his tour, the Minister, said: “I’ve come to see how the Midland Met progress is going. Next week they are going to start the physical rebuilding of this hospital. The steels are going up and we’ve been to see where that is going to happen. We are back on track for a 2022 opening. “The collapse of Carillion meant that an awful lot of work has had to go into getting this hospital going again. But I’ve been talking to the clinicians who are going to be working in the hospital and have been involved in the design. I’ve seen how it’s going to be one of the leading hospitals in the country….once complete. 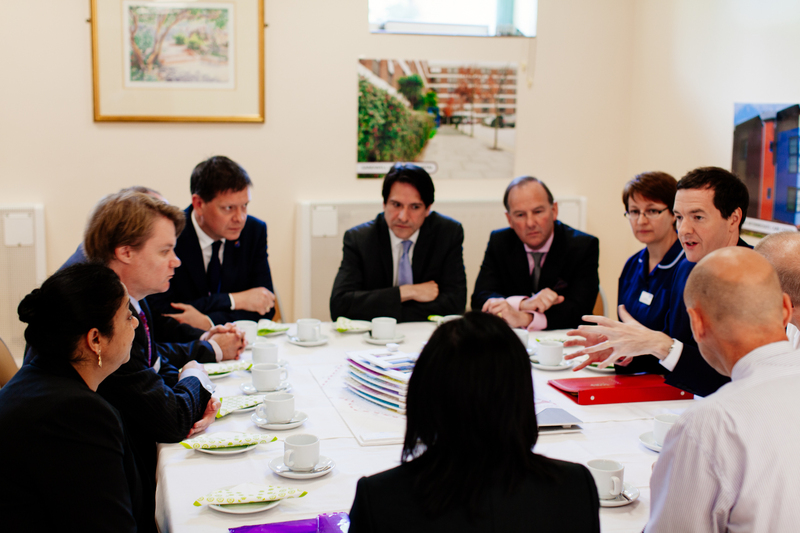 During the visit, the Health Minister met with clinicians from the Trust as well as the organisation’s Chief Executive Toby Lewis and Chairman Richard Samuda. He also spoke with representatives from Balfour Beatty. Mr Lewis said: “We were delighted to welcome Matt Hancock to Midland Met site to see for himself how well positioned it is in the heart of the community. “It is critical to the future of healthcare in Birmingham and in Sandwell, serving both populations, many of whom do not recognise artificial boundaries, but want to use their local hospital. “That new hospital will help to regenerate the surrounding area, with new transport links and commercial ventures as well as housing and schools. In August the Department of Health and Social Care (DHSC) confirmed their support for the Trust’s strategy to finish the Midland Metropolitan Hospital. A publicly financed direct contract will be let, with procurement commencing in November. Prior to that a smaller contract is being awarded to ensure that the damage caused to the building by weather since the demise of Carillion is remedied, and the building prepared for completion of construction. Since July the Trust has a run a due procurement process, consistent with a major contract of over £10m in value. We expect to have our contractor take on the site from November, if not sooner, and for work to take over six months. Balfour Beatty have been selected as the preferred supplier for this Early and Enabling Works Contract. Sandwell and West Birmingham Hospitals NHS Trust this week received more, and ongoing, welcome support to progress the construction of the Midland Metropolitan Hospital, that was affected by the insolvency of Carillion announced in January 2018. Clinical quality issues in urgent and emergency care, and workforce recruitment issues, drive a view that this vital new hospital, that is two-thirds built, proceeds rapidly. This will mean that patients can receive safe, high quality care in purpose-built facilities, seven days a week. The newly elected West Midlands Mayor Andy Street led the celebrations for the Topping Out ceremony at the Midland Metropolitan Hospital today (Friday, July 14). Andy Street marked the major milestone at a music-filled event which was held at the site in Cranford Street, Smethwick, which is currently under construction. The Topping Out ceremony falls on Black Country Day and is exactly three years since the project was given funding approval from the Treasury. During the celebration, the last piece of steel was placed on the 10th floor, the highest point of the hospital, which is being built by support services firm Carillion for Sandwell and West Birmingham Hospitals NHS Trust (SWBH). The Mayor, along with SWBH’s Chief Executive Toby Lewis, Chairman Richard Samuda, Dr Sarb Clare, Clinical Lead for AMU, Dr Nuhu Usman, Clinical Director for Emergency Care and Mr Prem John, Speciality Lead for Emergency care at City Hospital, all signed a plaque and made a hand imprint into a special concrete block. This will eventually be inserted into the building alongside the plaque. The Mayor said: “It has been a pleasure to be at the Topping Out ceremony today and play a small part in what is a fantastic project which will help to drive up the quality of clinical services in Birmingham and Sandwell. “However, this is also a major regeneration opportunity, using old industrial land and helping to act as a catalyst for the development of brownfield sites around it. “The new hospital is also supporting local enterprises and the voluntary sector, as well as inspiring and engaging local schools. Chief Executive Toby Lewis added: “Today marks another definitive step towards opening our acute and emergency super centre. “The new Midland Metropolitan Hospital will serve half a million people across Birmingham and the Black Country. Quality of care will be improved on a seven day basis. And the hospital will be a hub for community regeneration. The ceremony was followed by musical performances from Bristnall Hall Academy Orchestra, The Westminster School and Dreemz Choir. A video flythrough of the new hospital showed how will look when it is completed. The attendees were also shown footage of various school and community visits that had taken place at the site, by students who were interested in the development. The Treasury officially announced on July 14, in 2014, that it approved the £353 million hospital to be funded through both the public and private sector. Since then a staggering 800 people have been employed to construct the building, and it is expected to continue to boost the economy. The hospital will bring together acute services and boast a wealth of new technology including hi-tech diagnostic equipment. A glass-fronted winter garden on the fifth floor, will not only be an inviting place for staff, patients and visitors to meet but it will also be the welcome and navigation centre for the hospital. Visitors will be able to find their way with the help of clear signs, volunteers and digital wayfinding. 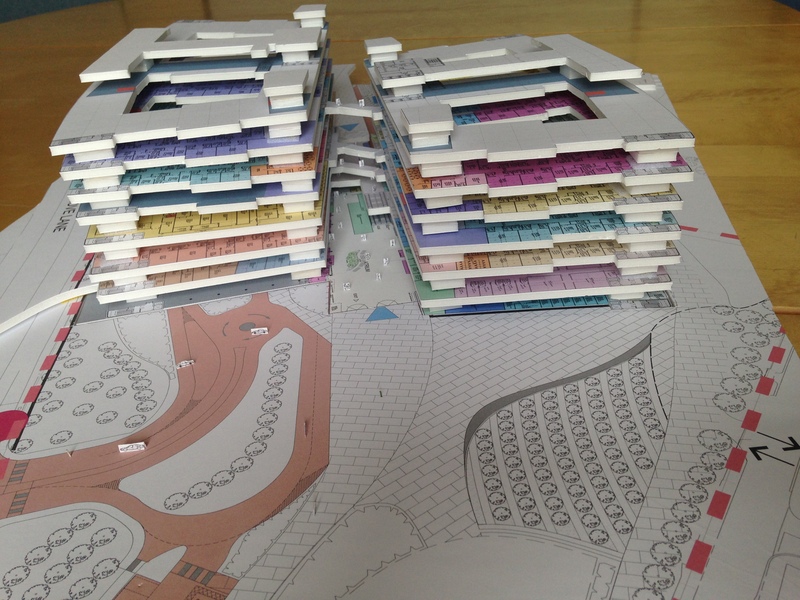 Plans also include a huge car park with underground access to wards and departments. Sandwell and West Birmingham Hospitals NHS Trust have today announced that the new Midland Metropolitan Hospital, which is being built in Smethwick to serve the people of Sandwell and West Birmingham, will open later than anticipated. The hospital brings together maternity services, emergency care, inpatient care and surgery for people who need to stay for longer than 24 hours, onto a single, purpose-built facility on Grove Lane. Outpatient care, diagnostics, day case surgery and rehabilitation wards will be provided at the existing Sandwell, City and Rowley Regis Hospitals. Speaking about progress of the new hospital, Chief Executive of the health Trust, Toby Lewis, said: “We can confirm, with regret, that the opening of the Midland Metropolitan Hospital will be delayed from October 2018 until early spring 2019. “The mechanical and electrical design for the new building, which is being built by Carillion, is behind schedule and, despite everyone’s best efforts, cannot match the programme needed for our planned opening date. “We have taken the difficult decision to delay the opening to ensure that the building performs to the very highest standards from the outset. Carillion Project Director, David Hollywood said: “Midland Met will be a state-of-the-art facility when it is completed. We have made tremendous progress since the first spade in the ground in January last year so we are disappointed with this delay. “The mechanical and electrical (M&E) design, which covers building systems such as heating, lighting and ventilation, is behind schedule and we are working closely with the Trust and our specialist design consultant to complete the M&E design and confirm a new completion date. 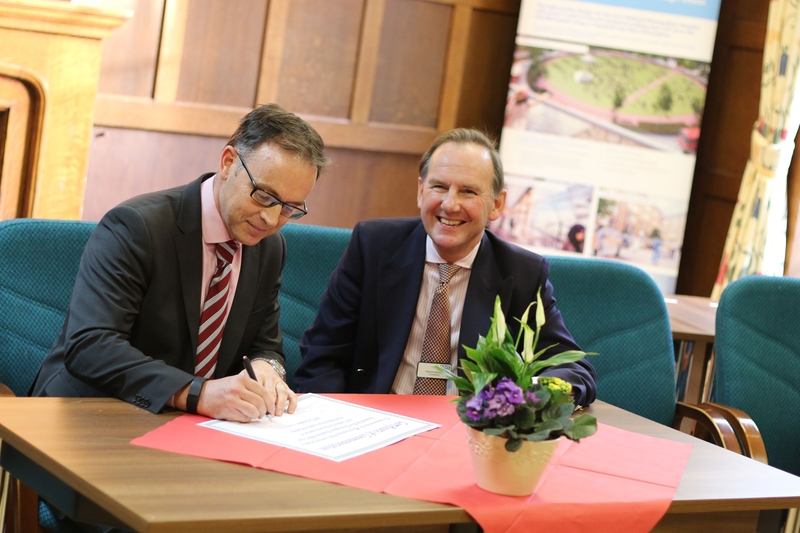 Trust Chairman Richard Samuda said: “Today we have signed the contract to build and deliver the Midland Met by October 2018 with ‘The Hospital Company’ – a Carillion Joint Venture. Final planning approval was granted last night for the Midland Met new hospital on Grove Lane in Smethwick. Sandwell Metropolitan Borough Council planning committee gave the multi-million pound hospital the green light to proceed on its brownfield site in the heart of Smethwick. This is the culmination of years of planning, consultation with the local population, and engagement with staff. Midland Met brings emergency and acute healthcare for both adults and children onto a single site. This means that the most complex care provided by the Trust can happen consistently seven days a week. Meanwhile, outpatient services, intermediate care facilities and planned surgery will continue and be further developed on the City Hospital and Sandwell General Hospital sites. That means that most care presently provided locally will stay local. The Birmingham and Midland Eye Centre remains on Dudley Road. The Trust continues to expand services in community locations such as Rowley Regis, as well as to provide more care from strategic primary care locations like Neptune Health Centre in Tipton and Tower Hill Medical Centre in Perry Barr. Midland Met is due to open in Autumn 2018. It will have 669 beds and 13 operating theatre suites, as well as modern diagnostic equipment. The new A&E will replace emergency care facilities at City Hospital, and Sandwell A&E will become an Urgent Care Centre. A dedicated spacious car park on the new site will be run by the Trust, and will allow underground access to wards and departments. Bus routes will come onto the site. The Trust will maintain its current ‘open visiting’ policy to support relatives in spending time with loved ones who are inpatients. The new hospital has many important design features. For example, all bathrooms in ward environments will be fully wheelchair accessible. Half of the beds in the building will be in single rooms. The standard design will allow the Trust to alter services within the building in decades to come. And the building makes extensive use of robots to move non-clinical equipment and services. The Fifth Floor Winter Garden will be the main space within which visitors can wait, eat and drink, and obtain information. This spacious facility, accessible from all levels, will be the heart of the new site. With a focus on regeneration, the new hospital will reinvigorate services and infrastructure in the surrounding areas supporting the local economy and creating more opportunities for work, education, leisure and wellbeing. Facilities for staff and visitors in the new building will be let through separate contracts not covered by the Government’s PF2 model. The garden space around the building will accommodate developments such as the Trust’s local community gardening partnership. In addition, Midland Met will also have a habitat designed to attract one of the UK’s endangered native birds – The Black Redstart. The little bird (about the size of a robin) has been spotted in the area, and as there are worryingly only approximately 40 mating pairs left in the UK, the Midland Met will offer it a home within the grounds. Carillion has welcomed Sandwell Metropolitan Borough Council’s decision to grant planning consent for the new Midland Metropolitan Hospital at a meeting last night (Wednesday 23 September). In August, a Carillion joint venture, the Hospital Company, was selected as the preferred bidder by the Sandwell and West Birmingham Hospitals NHS Trust to deliver the hospital which will be located on a site off Grove Lane in Smethwick. The hospital will be delivered in a Public Private Partnership under a 30-year concession contract using the UK Government’s PF2 model. The new state-of the-art hospital, which will have around 669 beds and 13 operating theatre suites, has been designed to meet the best international and national standards to make it truly patient focussed and to support the efficient delivery of high-quality clinical services. 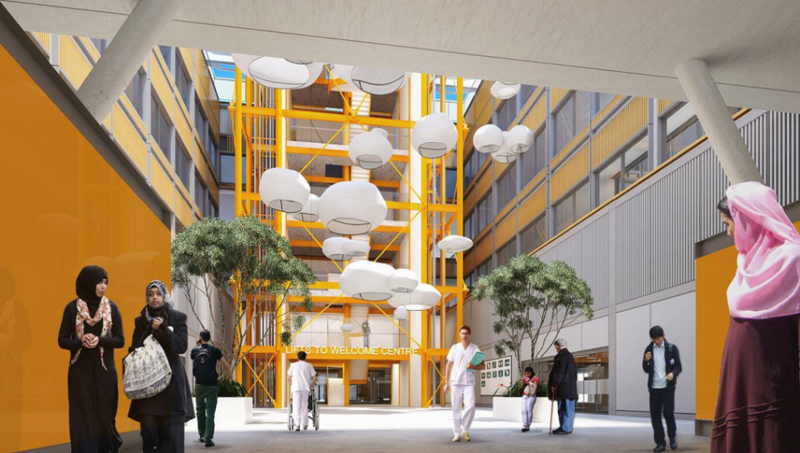 It will have a number of innovative design features including a fully enclosed winter garden, car parking within the hospital building on the ground and first floors to create a secure environment for both patients and staff and full separation of clinical activities and journeys from the public and non-clinical services. In addition, the design and construction of the hospital will meet the highest standards of sustainability. Carillion expects to invest some £16 million of equity in the project, which will be built by Carillion at a capital cost of £297 million. Construction is due to start early in 2016 with completion scheduled for mid-2018 with the hospital opening later in 2018. Carillion will use this project as a further opportunity to provide training and apprenticeship opportunities as well as maximising the use of local suppliers. 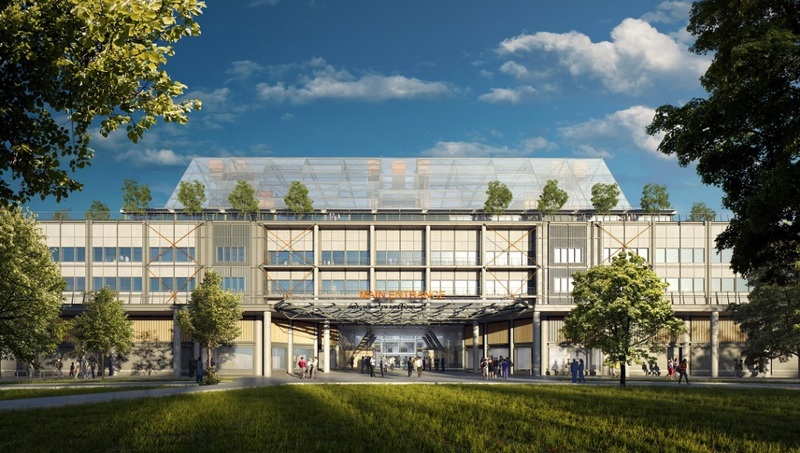 Carillion has been chosen as the preferred bidder for the Midland Metropolitan Hospital Public Private Partnership project. The Wolverhampton-based plc said the scheme was worth more than £430 million in construction and support services revenue and it is making an equity investment of £16 million. A Carillion Joint Venture, The Hospital Company, has been selected as the preferred bidder by the Sandwell and West Birmingham Hospitals NHS Trust to deliver the new Midland Metropolitan Hospital as Public Private Partnership under a 30-year concession contract using the UK Government’s PF2 model. The new state-of- the-art hospital, which will have around 669 beds and 13 operating theatre suites, has been designed to meet the best international and national standards to make it truly patient focussed and to support the efficient delivery of high-quality clinical services. The new hospital will also have a number of innovative design features including a fully enclosed Winter Garden, car parking within the hospital building on the ground and first floors to create a secure environment for both patients and staff and full separation of clinical activities and journeys from the public and non-clinical services. In addition, the design and construction of the hospital will meet the highest standards of sustainability. Carillion expects to invest some £16 million of equity in the project, which will be built by Carillion at a capital cost of £297 million. Hard facilities management and life-cycle maintenance services will also be delivered by Carillion and these services are expected to generate approximately £140 million of revenue over the life of the concession contract. Financial close is expected around the end of 2015 with construction starting early in 2016. Completion is scheduled for mid-2018, with the hospital opening in late 2018. As the leading provider of apprenticeships and training in its sector, Carillion will use this project as a further opportunity to provide training and apprenticeship opportunities as well maximising the use of local suppliers. Following the submission of the OJEU notice to kick start the procurement process for the Midland Metropolitan Hospital in July 2014 and a pre-qualifying questionnaire, a shortlist of bidders has been identified. An Invitation to Participate in Dialogue (ITPD) has now been issued and Sandwell and West Birmingham Hospitals NHS Trust can confirm that both Carillion and Laing O’Rourke/Interserve are progressing their interest in the tender process on the project. The next key milestone will be the submission of draft final bids, which is scheduled for April 2015. This means that the additional funding provided by the private sector can now be secured which will lead to the commencement of building works at the Grove Lane site in Smethwick. We expect to appoint a PF2 partner in 2015 and the first construction activity to begin in 2016. Demolition works are currently ongoing at site.